SKU: 4226-55. 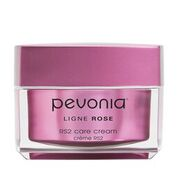 Category: Body, Pevonia, Travel Kits. Tags: Body. Daily stress, toxins, and impurities quickly diminish your skin’s radiance. Immerse your body in a de-stressing, blissful aromatherapy oasis. This budget-friendly kit contains all of the essentials for re-creating the spa experience and is perfect on the go with air travel 3-1-1 carry-on approved products.